One of two foundational courses in the Cultivating Success™ Program. Helping new and current farmers gain skills in business planning and direct marketing. This in-depth business planning course covers evaluating resources, planning and research, legal and management issues, marketing strategies, budgets and financial statements along with how to cultivate capital resources.During the course, participants will develop a business plan they can literally take to the bank to finance a new enterprise or expand an existing farm-based business. In addition, the course will have a special emphasis on the financial and legal issues unique to farm-based businesses. 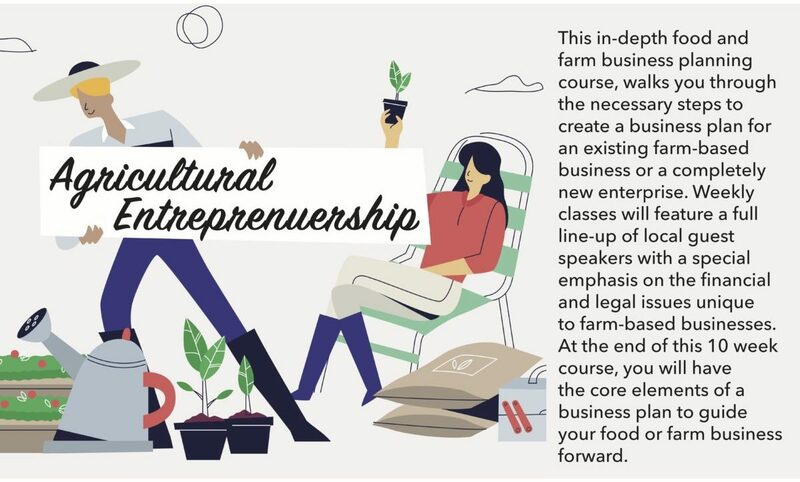 The course features a full line-up of local guest speakers including bankers, business professionals, and successful farm owners with a special emphasis on the financial and legal issues unique to farm-based businesses.